I try to avoid those language learning packages that tell you that you will be fluent in one month or even 6 months. 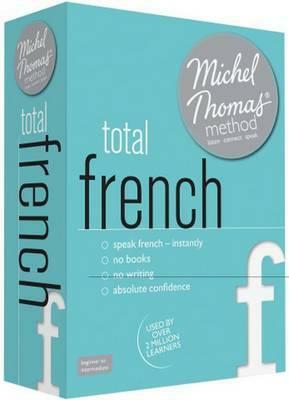 As a result, when I got the opportunity to try the Michel Thomas Methods on CD, I was a bit skeptical. However, I soon realized that this programme was actually pretty simple and helped to highlight things I had overlooked before. 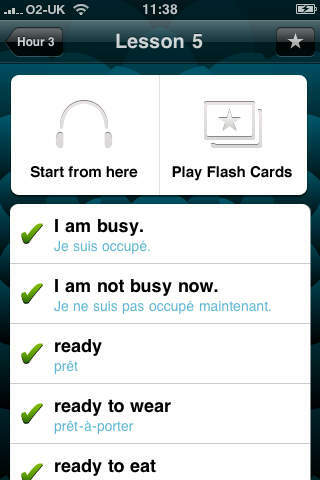 I would recommend this app to help advance your vocabulary but it should be used in partnership with your main French textbook that you are using to prepare for your exam and not a stand alone learning programme. You can also check out the articles on the list of common words between french and english. This article provides two list with vocabulary and rules to help you. There are lots of French words that are the same as English or very similar. In the Michael Thomas Method, they teach you how to find these words based on their formation and how to form sentences using this approach, which helping you to find the “false friends” that is also common between both languages. This is extremely useful as you are able to learn a lot of vocabulary and sentences structure in a short period because of the similarities between the two languages. Furthermore, they take more than a flash card approach and help you to create sentences with the new words you have learnt.